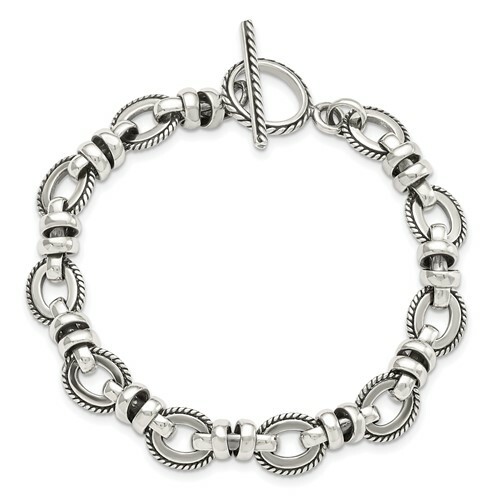 This ladies' antiqued sterling silver oval link bracelet has a toggle clasp. Bracelet length: 7.5 inches. Weight: 21.87 grams. Toggle clasp. Import.